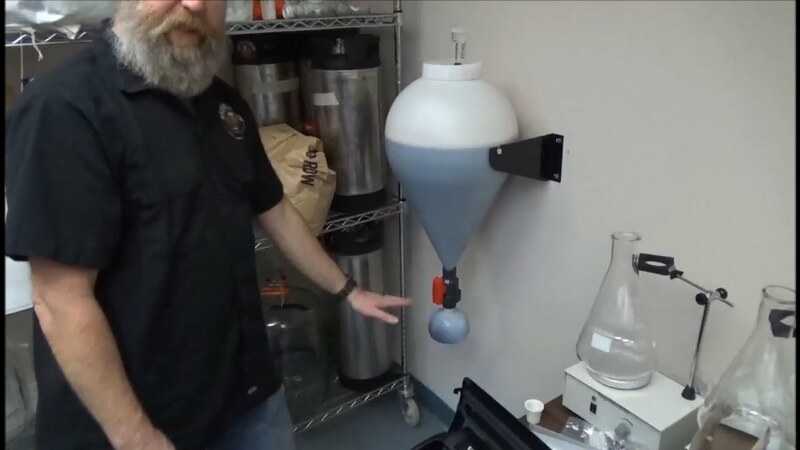 Anyone have any thoughts on the soon to be released (February) KK PET fermenter? The total height including the airlock is 940mm. The Diameter of the stainless wire base at the widest point is 395mm. Let my know your thoughts/concerns if any. I like it. Pressure rating for transfer is a plus and ferment under pressure. Clear for full view ferment and Trub and yeast trap for pre and post ferment. Handles on the stand would be a good idea? Agree - I can imagine moving that shape would be pretty tricky when it's got 25L of Wort in there. I like the look of them, but stubborn Krausen might be difficult to get to when cleaning. Page doesn't say (or I can't read). First title on the page 'Fermentasaurus 35L'.. They mentioned within the FB post that it's the max size they can make on the machine due to the cone shape. Am seriously looking at these. Only downside for me is that at present, I can fit two 25 L plastic fermenters into my fermentation fridge, whereas I will only be able to fit in one of these conicals. I've asked the question. I'd be hoping it's >4". Don't expect a reply as they're closed but will let you know what I find out. Interesting, but would wish to know the life expectancy of the fermenter before budgeting for one. Good point! Are KK a sponsor by any chance? If it could be wall mounted I would be in! No Chillin' Like a Villain. I would also be wondering whether boiling water could be used to rinse / sanitise given that it's only PET. Hey guys my understanding is that the pet fermenter is disposable. I've heard rumours that they are reasonably priced. KK needs to comment on this. ...but can it be used for no-chill like my stainless vessels? Just because the prv is rated at 35psi doesn't mean you have to pressurise at only that pressure.